What is the purpose of the Ergo Visitor Deluxe Chair? Providing visitors to your office a comfortable and good-looking place to sit while waiting for an appointment helps to make a good lasting impression. The design alleviates stress on the body so that these are not just relaxing to sit in, but good for your overall posture. Place this in a lobby, reception area, or doctor and hospital waiting rooms and you will be providing a comfortable seat that’s also good for the back. 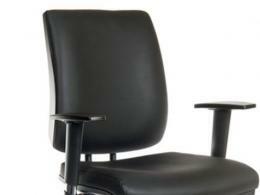 The Ergo Visitor Deluxe Chair will add a great deal of character to any office area or foyer. Patients who are arriving for a doctor’s appointment as well as clients and those business associates waiting for a meeting will find sitting in these seats very appealing. The Ergo Visitor Deluxe Chair’s stylish look and feel make it something that will definitely draw the attention and admiration of all those who will visit your place of business. A large curved backrest makes this seat feel good while you’re sitting. 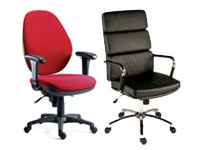 The Ergo Visitor Deluxe Chair comes in two different colours: blue and black. They also have two different styles from which you can choose. The black comes in both a leather-type look and a fabric while the blue comes solely as a fabric style. 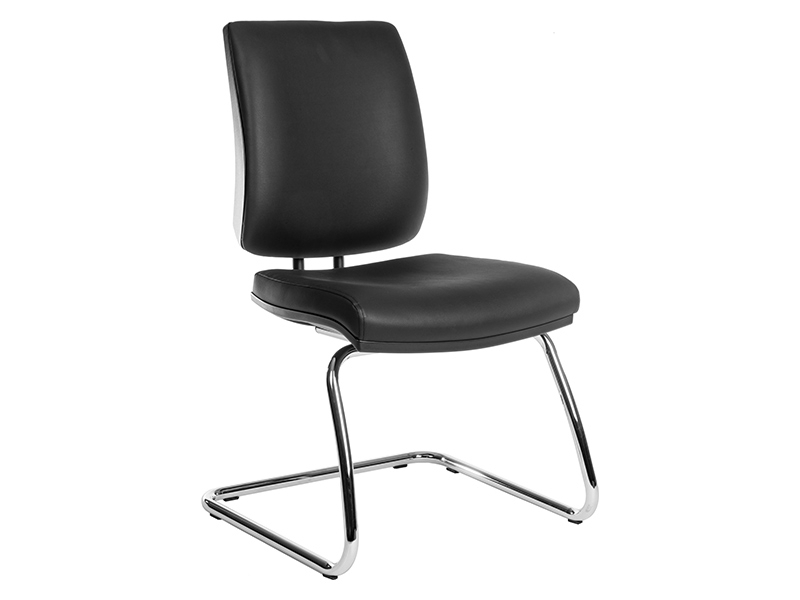 Also, the black has a more angular backrest and seat. There is some assembly required with both styles and arms are sold separately. 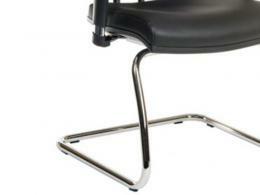 The frame is chrome and very stylish, and can hold up to 160kg. A 1-year warranty, free delivery and a promise to match any price you may find that will beat ours is a great way to start your ownership of an Ergo Visitor Deluxe Chair. If you’re not happy with the chair you’ve chosen, you can send it back to us for an exchange or simply return it. We are happy to help put you into a seating solution that will make you and your customers feel like someone important.